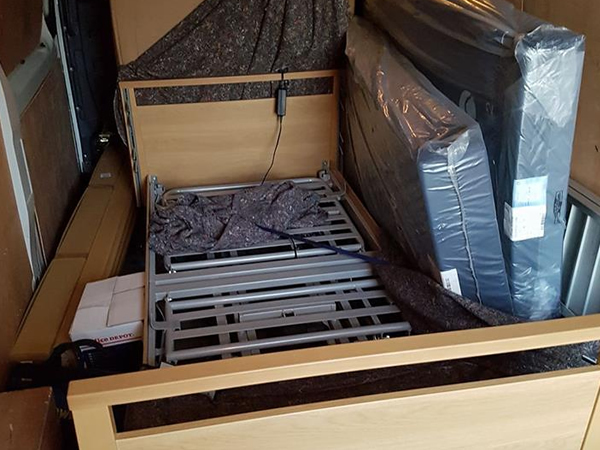 The team at G&G Couriers in Hull have just completed a courier service for Alpine HC Group picking up, delivering and installing 3 beds for the company. Guy and Graham headed out in the van, picked up the goods from the destination and went on the journey to the delivery destination. Once there, the two unloaded the vans and started to intsall the beds for Apline HC Group. If you require a speedy courier service anywhere in the UK at anytime, book a delivery with us today!